Taken while normal people sleep. 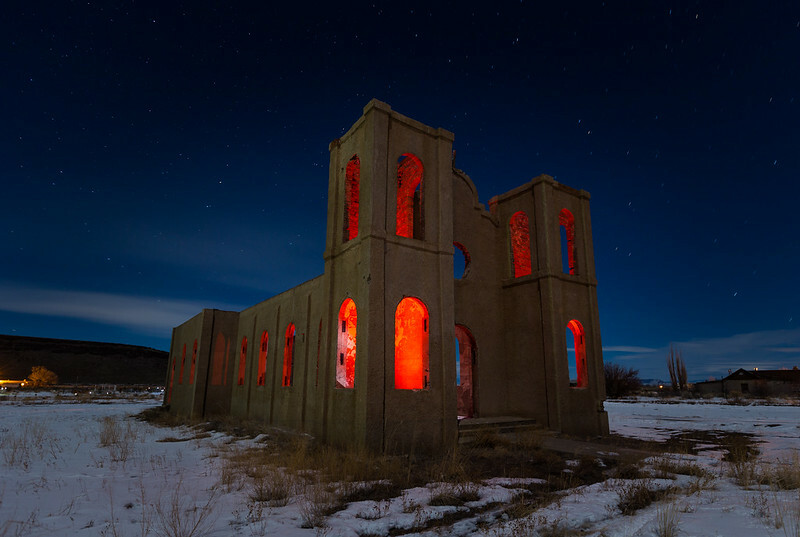 This little Catholic church in southern Colorado near the New Mexico border burned down in 1975 and has stood there abandoned ever since. Shot January 18, 2016.